Garrick Apollon has been a Legal Counsel with the Department of Justice for over 10 years. He is also a part-time professor at the University of Ottawa Telfer School of Management. An alumnus of the University of Pennsylvania Law School (Penn Law), Garrick was a student of Professor Regina Austin, Director of the Penn Program on Documentaries & the Law. He was also the host for a television program on access to justice. More recently, Garrick led an innovative learning project involving MBA and JD-MBA students in the production of visual legal advocacy videos with the University of Ottawa and a multinational corporation. An active legal scholar, Garrick has seven publications in leading peer-reviewed American law journals in the fields of corporate governance and ethics, negotiation and dispute resolution. Garrick played football for the Rouge & Or at Université Laval. He was a member of the Rouge & Or when the team won its first Vanier Cup, awarded to Canadian university football national champions. Garrick is Fellow of the FILM Initiative at Osgoode Hall Law School. He is also a Senior Fellow at the Hennick Centre for Business and Law at York University. Garrick holds a degree in civil law (LL.B.) from Université Laval, a Juris Doctor (J.D.) from the University of Ottawa, a Master of Law in International Business Law (LL.M.) from Université Laval and a Master of Comparative Law (LLCM) from Penn Law. He was called to the bar in Ontario in 2004. 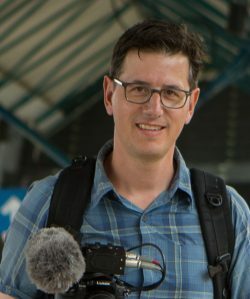 Étienne Trépanier is a lawyer and a filmmaker. A legal counsel with the Department of Justice for over 18 years, Étienne is an expert in entertainment and communications law. He currently serves as legal advisor for the Department of Canadian Heritage. As a way to bridge his legal and creative skills, Étienne has for many years maintained an active film production business through Tenor Films. He has directed and produced two travel documentaries, which were distributed through a large network of cinemas and art houses in Québec. Étienne has also written, directed and produced awareness campaigns for organizations such as the Association of Justice Counsel and the Tax Court of Canada. Most recently, he collaborated with Garrick Apollon to write, direct and produce visual legal advocacy videos with the University of Ottawa and a multinational corporation in the context of an experiential learning activity for MBA and JD-MBA students. He is the team leader of the national initiative Justice.TV at the Department of Justice of Canada. Étienne is Fellow of the FILM Initiative at Osgoode Hall Law School. He is also a Senior Fellow at the Hennick Centre for Business and Law at York University. 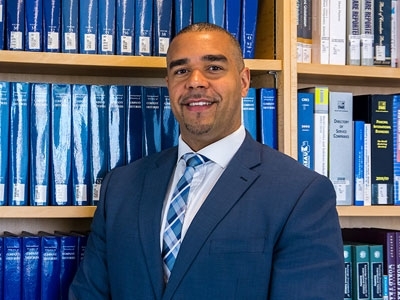 Étienne holds a degree in civil law and common law (LL.L-LL.B.) from the University of Ottawa, and was called to the bar in Quebec in 1998. Alexandra Misurka is a second-year JD/MBA student and an elected executive on the JD/MBA Students’ Association. 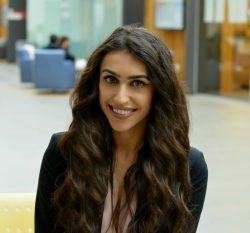 She is the Student Coordinator for the Career Development Office at Osgoode Hall Law School and has participated in the Osgoode Business Clinic as a Junior Caseworker. Prior to attending Osgoode and Schulich, Alexandra received her Bachelor of Arts, Honours in Criminal Justice and Public Policy at the University of Guelph and was the Director of Operations of the University of Guelph Pre-Law Society. She also worked as an Operations Assistant at Sea Cargo Air Cargo Logistics, where she gained experience in law and accounting. In her free time, Alexandra enjoys travelling and fitness. Davies Business Law Lecture 2018: Are sunset clauses a solution to the controversies of a dual class structure? 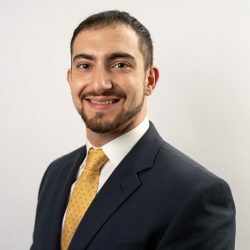 Salem Aboghodieh is a second-year JD/MBA student specializing in Finance and Real Estate & Infrastructure. He is an active member of the Business Technology Management Association and the Schulich Real Estate & Infrastructure Club. Salem received his Bachelor of Business Administration from the University of Toronto Mississauga where he was elected by his peers as VP Finance of the Athletic Council and a Student Representative on the board of directors of the Student Union. Salem also participated in a variety of business conferences, case competitions, and personal development workshops. Most recently, Salem’s case competition team made it to the finals of the Rogers Challenge at the National Business and Technology Conference in Toronto. In his graduating year, Salem was awarded the Alice H. Pearson Intramural Athlete of the Year Award, one of the most prestigious awards on campus. Salem enjoys going to the gym, keeping up with Canadian politics, and spending time outdoors.